In 2014, The St Bernards were judged on Thursday 17th April, two days prior to the Club Easter Specialty Show which was held on Saturday 19th April 2014. The Club proudly continues to sponsor the annual Sydney Royal Easter Show St Bernard Best of Breed trophy. 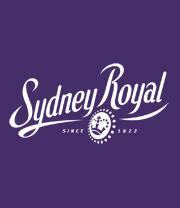 Past Sydney Royal results can be obtained by clicking on the logo below.